You will find our office, comfortable, warm and friendly, with large windows and lots of natural light, our goal is to offer state-of-the-art chiropractic care in a comfortable surrounding. You’ll be greeted by name when you enter our office. You will be shown through to the room and asked to fill in some paperwork, after which you will be introduced to Roger Reid, the Chiropractor who will look after you. The physical examination including orthopedic and neurological testing, Range of motion, motion palpation and more……….. Body 4 Life Healthcare uses the latest technology available for evaluation of muscular and nervous system imbalance. 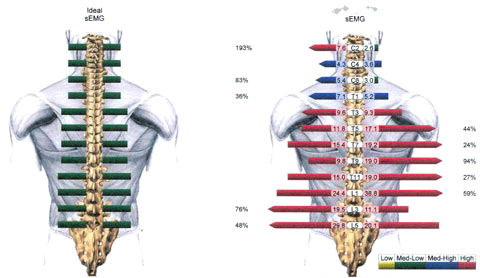 Two computerized evaluations are performed (when indicated) as part of every new patients’ examination to evaluate the efficiency of the nervous system. The sEMG measures the quality, quantity, and symmetry of muscle tension and spasm by evaluating the electrical activity of muscles. Because nerves control your muscles, spinal misalignments disturb overall nerve function, causing an abnormal amount of electrical current to flow to the muscles. When indicated, it may be recommended that you have X-Rays which can usually be done there and then very quickly and easily with our IN-HOUSE X-Ray machine. Once the Chiropractor has all the information he needs, he can then take time to review your scans, notes and X-Rays and prepare for Relating Your Findings, this will usually be done on the same visit. 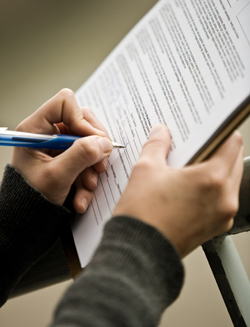 Once you are happy and have had your questions answered, we ask you to sign a contest to treatment. At this stage, usually treatment can begin. Occasionally, your treatment may need to be started on your next visit.